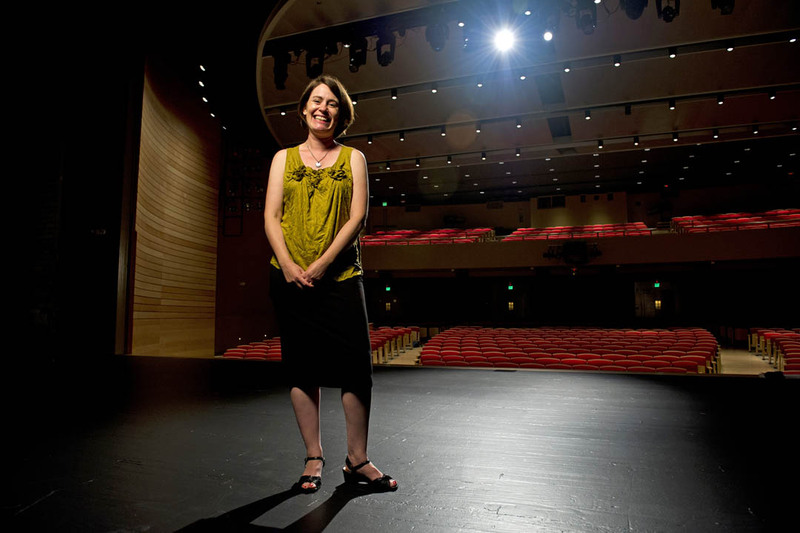 Hilary Poriss ’91 is a music professor at Northeastern University. Courtesy of Brooks Canaday/Northeastern University. Hilary Poriss ’91, an authority on opera who speaks at Bates on Feb. 6, discovered opera as a Bates senior. Poriss, a music historian at Northeastern University who specializes in 19th-century opera, attended her first productions during a semester in Austria. Saving money on admission to the Vienna State Opera by using the Stehplätze, sections of the auditorium for standees only, she attended perhaps 20 productions. Author of Changing the Score: Arias, Prima Donnas, and the Authority of Performance (Oxford University Press, 2009), Poriss explores the surprising variety of tasks expected of 19th-century singers in her Bates lecture at 7:30 p.m. Wednesday, Feb. 6, in the Olin Arts Center Concert Hall, 75 Russell St. Her talk is titled What is a Diva? It’s open to the public at no charge. For more information, please contact 207-786-6135 or olinarts@bates.edu. 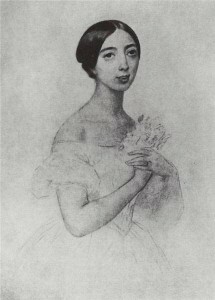 Pauline Viardot depicted in an 1844 painting by Karl Bryullov. She’ll use the great Pauline Viardot (1821-1910), a French mezzo-soprano and composer, to frame her discussion of female opera singers in the 1800s and the changing meanings of the word “diva” from then to now. But as her Bates talk will also reveal, those 19th-century goddesses of the opera were expected to do far more than sing. “In addition to learning new roles within weeks, these singers also had to choose their own costumes, write their own cadenzas” — virtuosic additions to a composer’s score — “and occasionally help the composer tweak his musical lines,” Poriss says. More than many leading ladies of opera, Viardot was amply equipped for all these contributions. “She was a wildly talented performer,” says Poriss. Musically, she could not only sing but was a brilliant pianist and prolific composer whose output included 300 songs and eight chamber operas. She was also a skilled visual artist who designed costumes as much for pleasure as for her performance obligations. This is a good time to be researching Viardot, Poriss notes, because a host of previously unknown materials about her are coming to light — letters and music, as well as drawings, paintings and costume designs. The Feb. 6 talk will be Poriss’ first visit to the college as a guest lecturer. She calls her time at Bates “heaven.” Not wishing to disappear into the crowd at a major university, she loved the smallness of Bates.